Guys and Patriotic Vibes Tour – Everything Your Mama Made & More! 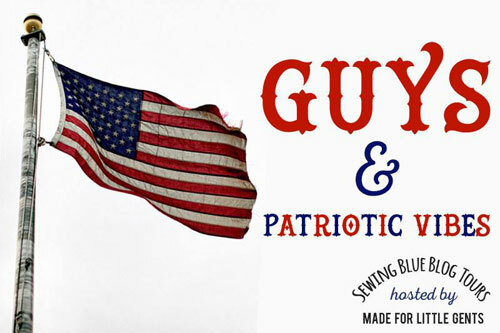 When I saw that Made for Little Gents was hosting a blog tour called “Guys & Patriotic Vibes,” I jumped on board faster than I could think! 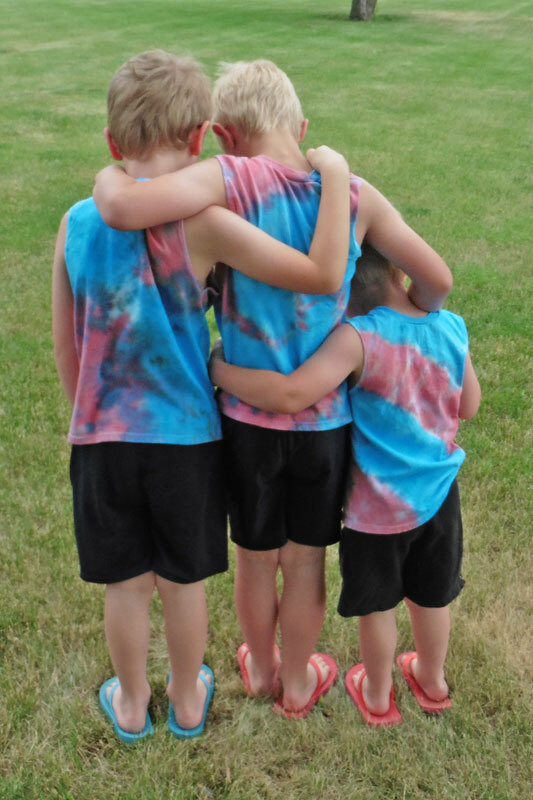 My kids love wearing red, white, and blue all summer long … from Memorial Day to Independence Day to Labor Day … so I knew that my boys would be willing models if it meant some new patriotic shirts! 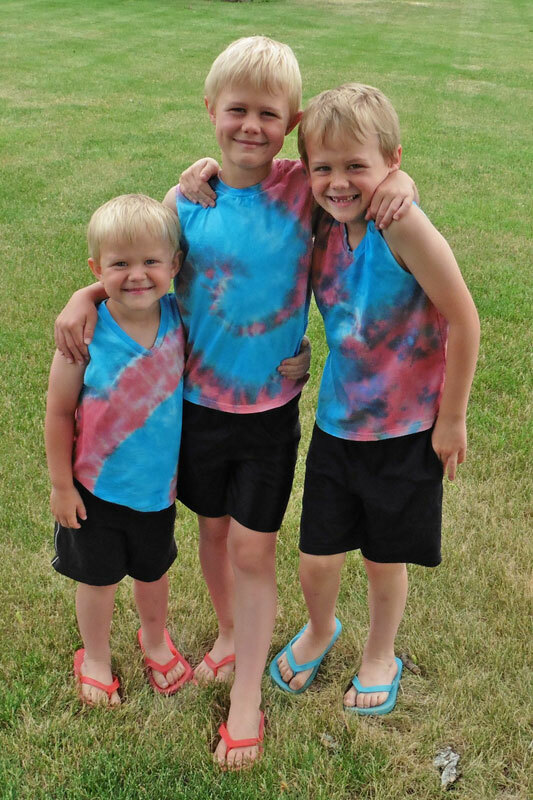 After surveying their wardrobes, I determined that they all three could use more tank tops and so I decided to hack Parker’s Vintage Fit T-Shirt into a muscle shirt. 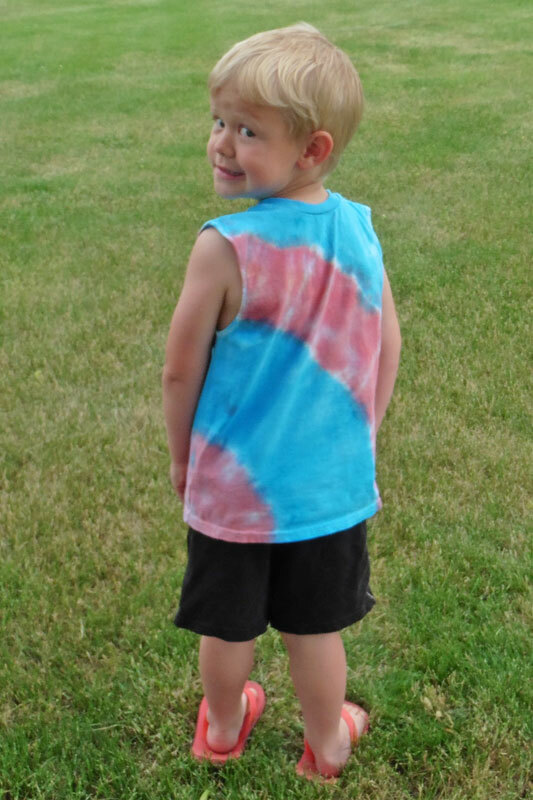 I resolved to sew them plain white tanks and tie dye them red and blue, in order to cover both the patriotic tour theme and our summer tie dye tradition. My next step was finding white fabric. After striking out on finding good quality white cotton/Lycra at a couple places, the idea of upcycling bigger shirts came to mind. 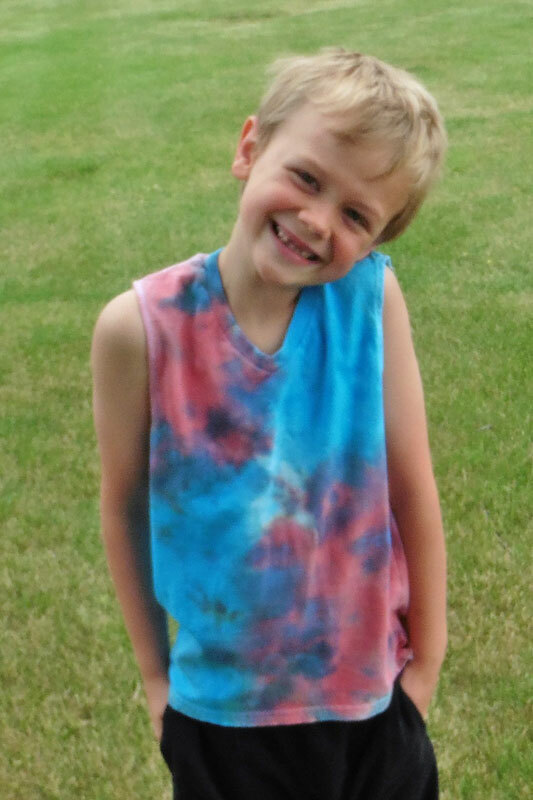 As a bonus, I took pictures along the way to show how I lined up my pattern to re-use the existing hem of the shirt and how I altered Parker’s T-shirt into a muscle tank. 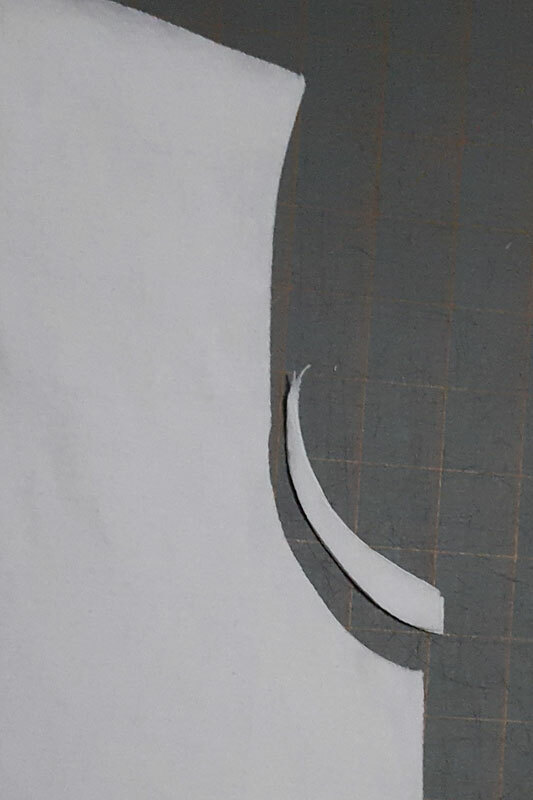 In order to take advantage of the existing shirt hems, I first marked a dashed line on my Parker pattern where the hem should be folded up 3/4 inch from the bottom. 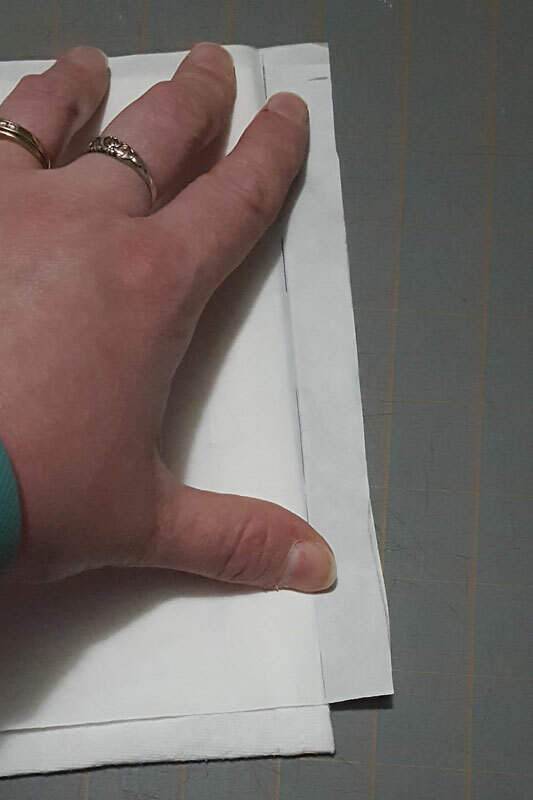 When placing my pattern on top of the folded shirt, I aligned that line with the bottom of the hem, letting that last 3/4 inch of the pattern stick past the already hemmed fabric. Before taking the above left picture of this step, I slid my pattern away from the fold (at the bottom of the pic), so that you could better see how I lined it up. You can do the same thing with the sleeves when upcycling to save yourself from having to hem in the end … I love how re-using hems makes this shirt come together super fast! To alter Parker’s T-shirt into a muscle shirt, I left off the sleeves (obviously) and also scooped the bottom of the armscye a tad more. For the sizes 6 and 7 that I made, I scooped it 1/2 inch deeper at the bottom, tapering it up into the original curve of the armscye (see the above right photo). After sewing the shoulders and side seams, I folded the raw edge under by 1/4 inch two times and topstitched with my triple stretch stitch. To make hemming the armholes a bit less fiddly, I used Wash Away Wonder Tape. Wash Away Wonder Tape is 1/4 inch wide double-sided tape that is safe to sew through and washes away when you’re done. I stuck it to the wrong side of the armholes 1/4 inch from the edge, folded the raw edge over on top of the tape, then folded the whole thing over again 1/4 inch to the wrong side (which was easy since that’s the width of the tape) and stitched it down. 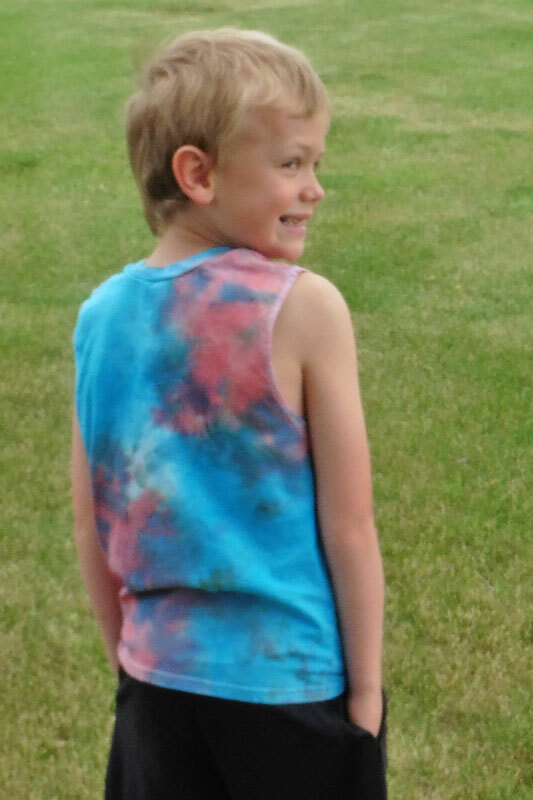 Tie dying … the most fun part … came after I finished sewing their three plain white muscle tanks (by the way, I’m sort of disappointed that I forgot to get pictures of them while still white but we were just too excited to get them dyed, haha). 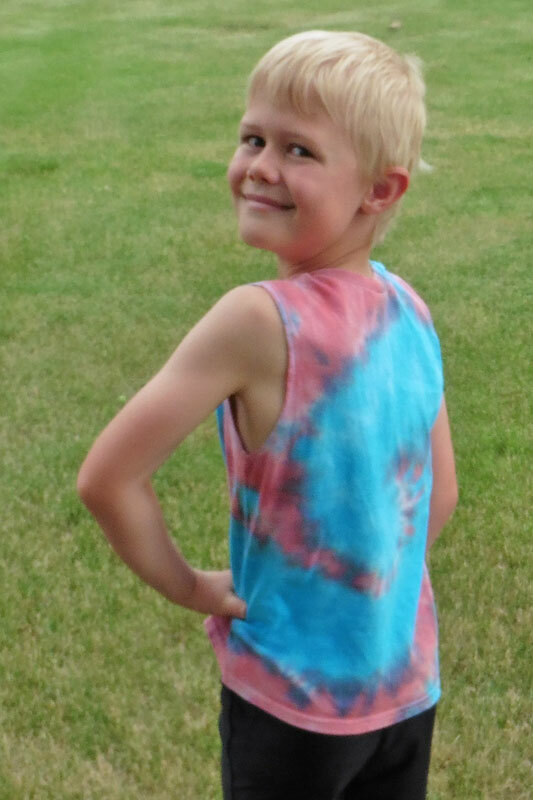 For my middle son, I sewed the v-neck because it helps me easily identify and remember whose is whose when folding laundry since they wear the same size, haha! We attempted to leave a white star in the middle of his tank, but as you can see we failed miserably. I might have to try again another time because I’ve successfully pinched out a heart shape when tie dying in past years. The star was just a little trickier to keep separate and then the dye seeped in while it was sitting for the recommended 24 hours before rinsing. Oh, well, live and learn, right? It’s a good thing he’s not too picky and is happy anyway. For my 4-year-old, I picked the tank up by the bottom corner and let the rest of the shirt hang. Then I added a few rubber bands and dyed each section red/blue/red/blue. Because of the way the shirt hung from the corner, his design is neat arcs of color. By the way, don’t mind that his tank is a little big. I was too lazy to trace off the size 5 of the pattern when I had a copy of size 6 ready to go … so his is a size up from his chest measurement. 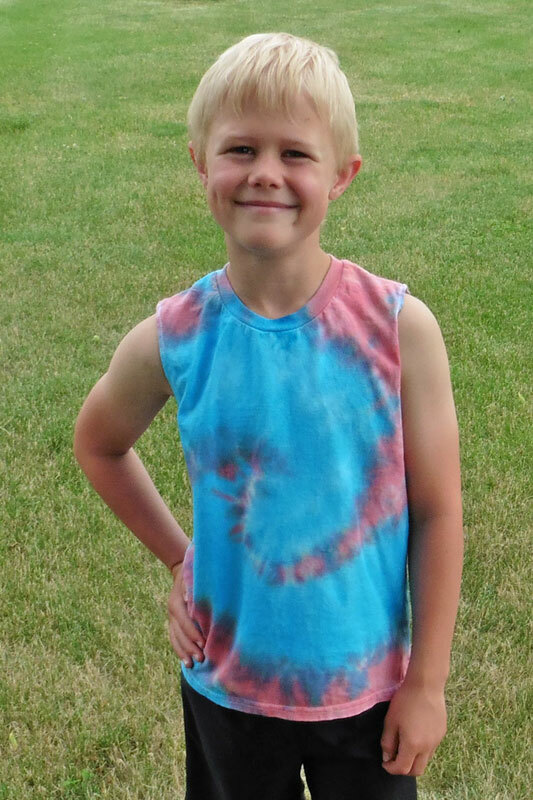 I had so much fun creating red, white, and blue muscle tanks for my sons from Parker’s Vintage Fit T-shirt pattern for the Guys & Patriotic Vibes Tour. 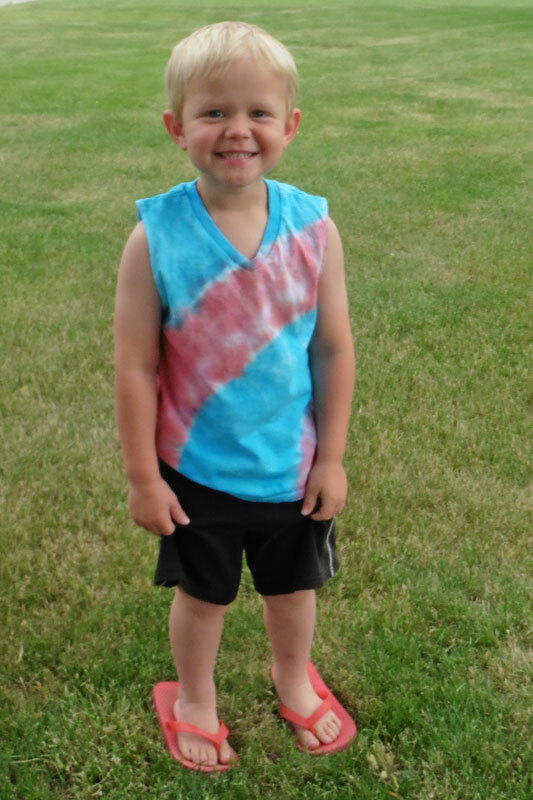 My boys are sure to wear them all summer long! 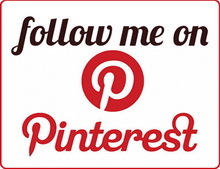 Joelle, these are fantastic! What a great tradition of tie-dying every year. Your boys look so handsome in their new shirts! They are adorable, and their shirts too!